On September 12th, 2017 at 12.07 a.m. an ambulance was called to a place closet o Naples known as “Solfatara”,which means Sulphurian. 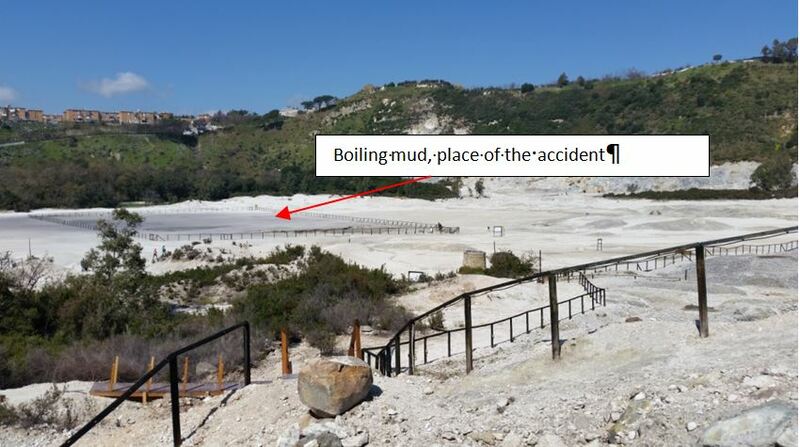 An 11 years old boy had fallen into a pit of boiling mud on a vulcanic field. 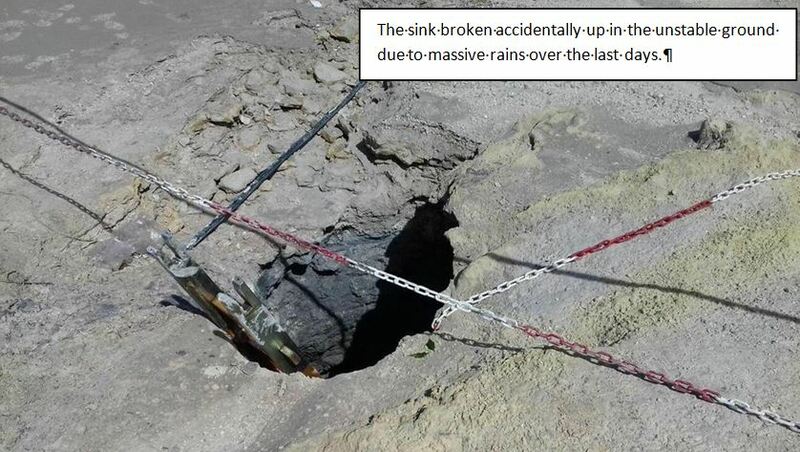 His father rushed to his rescue but also fell into the sink-hole. The boy’s mother too was swallowed by the pit. All three died. Only the 7 year old younger brother survived. The place is known since antiquities as part of the vulcanian area of the Phlegrean Fields, one of the most volcanic areas in the world. The Phlegrean Fields (Campi Flegrei in Italian) are surrounded by a number of craters of very old volcans, as shown in the immage below. The Solfatara is a huge desert place famous for its sulphurean streams coming directly out of the earth. There are two places known as “mouthes” in which the earth literally seems to breath. The place was used by the Romans for the sulphurean which helped to cure polmonary diseases. Nevertheless, the vapours are benefic only above the earth, below they are toxic. Indeed, the family died of intoxication. In the very center of the Phlegrean Fields is a fenced place in which water and mud is boiling due to the high temperature of gases coming from below the earth. The son of the tourist family was close to the fences of this boiling mud field, when a hole opend up and he fall into it. Here is the chart of the moment, the ambulance was called, only minutes after the accident. The accident happend on the day of Mars and in the hour of Saturn, the two classical malefics. It is no surprise to find Scorpio rising. This sign is related to muddy, moorish grounds, a stinking places and quamires. The sign is ruled by Mars, associated with accidents and violence. Mars is the malefic out of sect and thus particularly destructive in this chart. He is elevated and peregrine. The planet’s nature is hot and dry. Mars is just on the 10th house cusp, in Virgo. Virgo is an earth sign and has cold and dry properties. The accident happend in a hot (Mars) mud field (Virgo, earth). Virgo is a mutable sign, which I find interesting in this case, since the mud was bubbeling and thus moving. Mars changed just recently from a fixed sign into mutable Virgo. The heavy rain over the last days had made the desert ground unstable. The Moon, in an air sign squares Mars, and thus describes poisenous air and vapours. She is the natural ruler of children and has just separated from a square to Mars (accident). 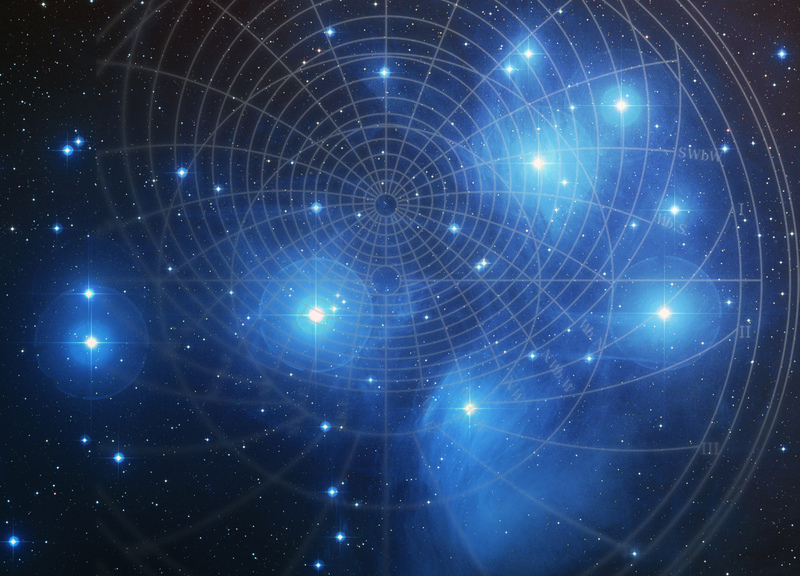 Venus, ruler of the 12th house of hidden enemies or unexpected events is going to trine Saturn. Saturn rules fences or delimitations. It is still not clear, if the boy climbed over the (unsufficient) fences or if the hole opend up under his feet just very close to the safety “barriers”. The trine indicates the easiness, with which the barriers could be overcome. 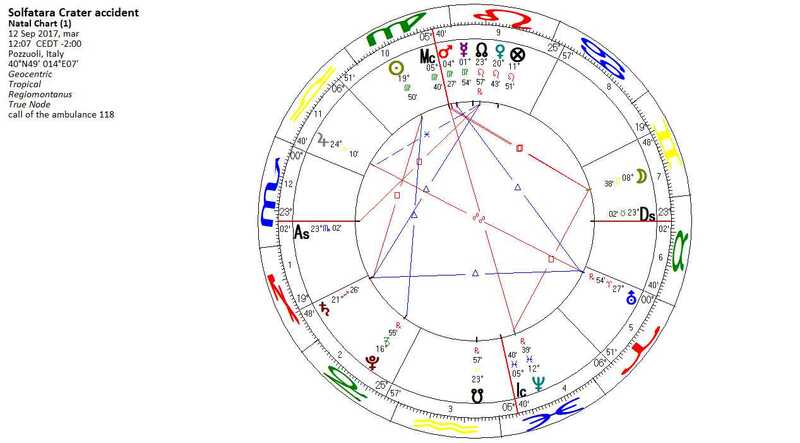 Since this is an event chart for something which has just happend, it makes not much sense to look at the next Moon transits, as they will not add information regarding the event itself. As a sidenote, the Phlagrean Fields were known as the Gates to the Underworld in ancient times. In the chart we see the upbuilding opposition between Moon and Saturn just on the Sagittarius-Gemini axis, which for the Babylonians represented the entrance to the Duat because of the connection with the Milky Way, which intersects the ecliptic just in Gemini and Sagittarius while the galactic center is at 26° Sagittarius. Sometimes astrology’s symbolism is so very literal.